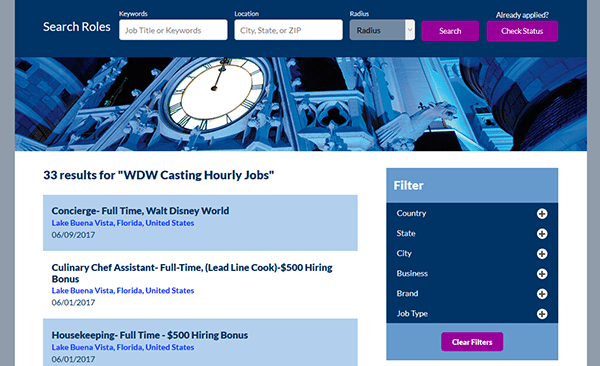 Learn how to fill out and submit the Walt Disney World job application by reading the guide posted on this page (in the below section). The guide covers the online job search and application processes. Numerous career types can be searched and applied for online including entertainment, operations, business, management, and support positions. 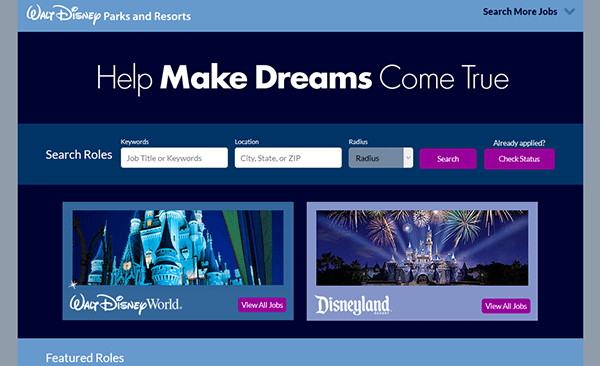 About the Company: Walt Disney World is an American entertainment park/resort in Lake Buena Vista, Florida. The resort/complex was created in 1971, and currently employs more than 62,000 people. Step 1 – The first step of the online job application process is to go to the main employment page. Click this link to open this page in a new tab/window. 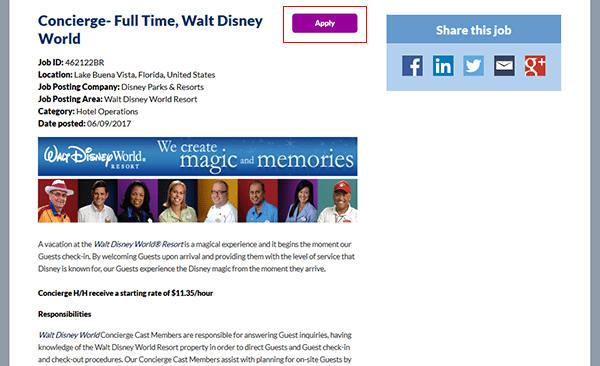 Note: You can also press the button/link at the top of this page to go directly to the main employment page. Step 2 – Press the “View All Jobs” button as outlined in the below screenshot. Step 4 – Press the position (link) that you want to start the online application process for. 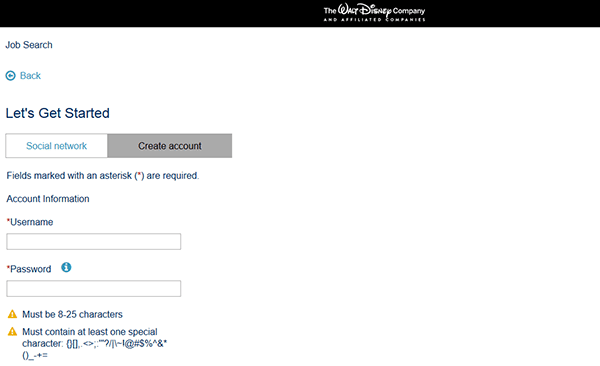 Step 6 – Sign in to your account. If you need to register a new account press the “Don’t have an account yet?” link. Step 8 – Click the “Continue” button. 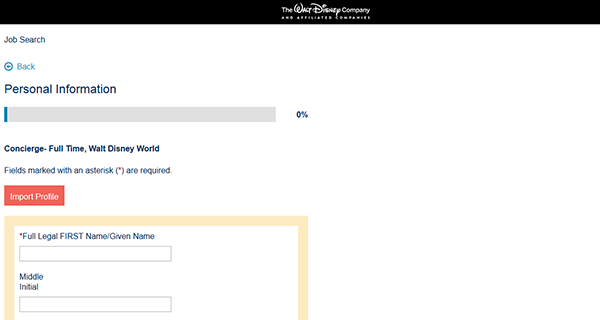 Step 9 – Press the “Let’s Get Started” button to begin the online application. Step 11 – Complete the “Education History” and “Work Experience” subsections. Click the “Continue” button. Complete the remaining steps/sections of the form.